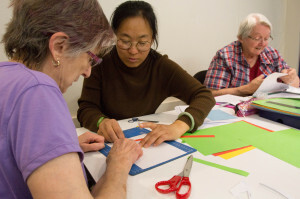 Our staff and volunteers facilitate a wide range of groups and classes for members of our communities. These include walking groups, gardening, English classes, jewellery making, paper craft, knitting, writing, art and many more. Some groups and classes have eligibility criteria as included in the table below. Please note that if you are ageed over 65 and not registered with MyAgeCare but keen to join the group, please call us on 9349 8200 or 8570 1400 for help with registering. Brunch Group Mondays 9349 8200. For people registered with MyAgeCare. Knitting Group Thursdays, JNC Bondi Junction. 9349 8200. For people registered with MyAgeCare. Outings - small groups Tuesdays, Wednesdays, Fridays in Randwick and Waverley LGAs, Tuesdays in City of Sydney LGA 9349 8200 for Randwick and Waverley LGAs. 8570 1400 for City of Sydney LGA. Social shopping outings Mondays at Eastgardens and Royal Randwick Shopping Centres. Thursdays Eastgardens and Eastgate 9349 8200. For people registered with MyAgeCare. Transition to School Playgroup Mondays, Lifestart Building at Chifley Public School, Mitchell St, Chifley. 10.00am to 11.30pm 9349 8200 Mondays (school term). For families with children starting school next year. Social Activities & Outings – open to the community in the Randwick and Waverley LGAs. Social Activity Groups – available to older people in the Randwick and Waverley LGAs. Transition to School Playgroup: Resumes 6 May 2019. 123 JNC Play Group: Resumes 2 May 2019. 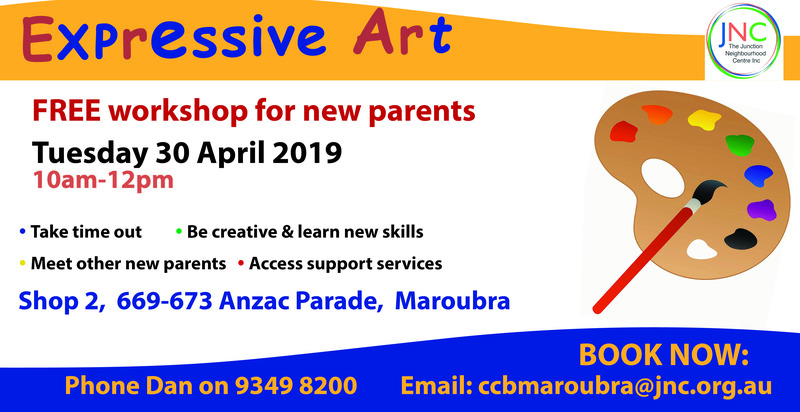 Expressive Art – a workshop for new parents. 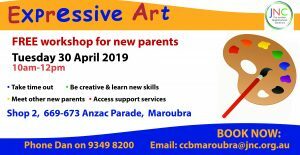 30 April 2019,10am-12pm at Shop 2, 669-673 Anzac Parade, Maroubra. (For all these groups and workshops, ring us on 9349 8200 to book or make an enquiry).